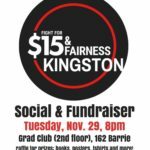 We are the local chapter of the network of groups fighting to improve the standards of low-wage and precarious workers in Ontario, and over the past month have been hosting town halls and numerous petitioning sessions in Kingston. 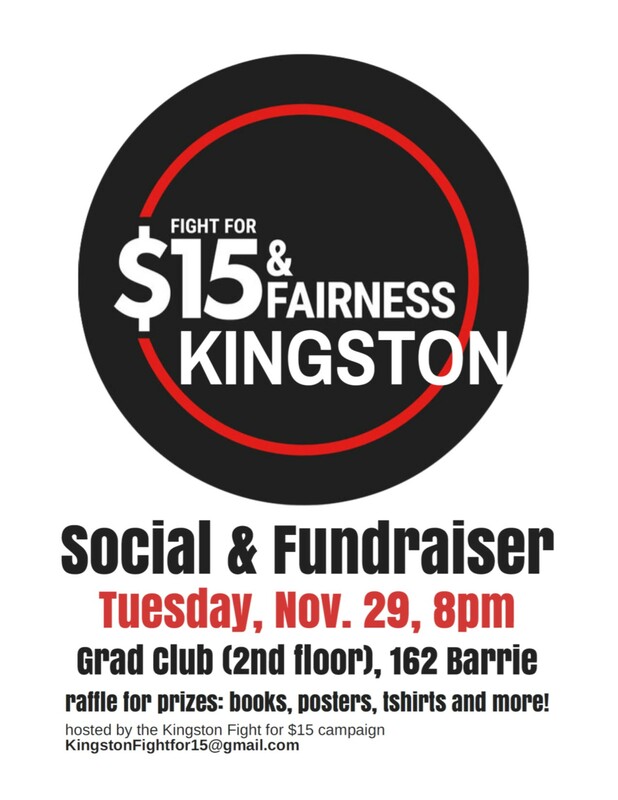 Next Tuesday, November 29th, 8:00pm-10:00pm, we will be hosting a social for our local allies in the labour movement. We will be selling raffle tickets, (1 for $3, 2 for $5), and will have a number of great prizes including (books, posters, and t-shirts). We hope can join us!